Down to the wire on this one! Second post of the day (because I was not sure I would create the card!). I love the outfit (dress? separates? not sure!) that the Runway Inspired Challenge blog posted for ric#93. The stripes have been in my brain for a week. “I need to do stripes.” I tried to make a background of closely spaced sentiments in the stripe colors…that worked until my Summer Starfruit marker didn’t work on the clear stamp I was trying to use. Circular file fodder. I thought about doing stripy clusters of flowers…nah. Supplies: Stamps – Essentials by Ellen, paper – Neenah Classic Crest Solar White, snow white watercolor paper – source unknown, inks – Copic B05, C1, Y18. Stampin’ Up! Orchid Opulence (retired), Summer Starfruit (retired), Wisteria Wonder, Tim Holtz/Ranger Distress Inks Picked Raspberry, Salty Ocean, Spun Sugar, Tumbled Glass, VersaFine Onyx Black, Wink of Stella clear, dies – Essentials by Ellen, organdy ribbon – JoAnn’s. 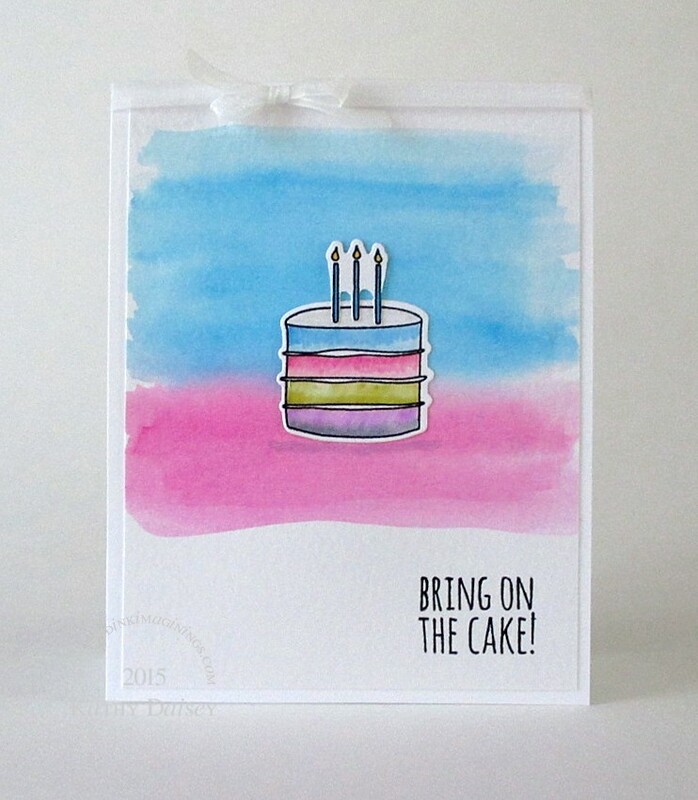 Categories: birthday, card | Tags: card, Copics, Essentials by Ellen, Neenah, Ranger, Runway Inspired Challenge, Stampin' Up!, Tim Holtz, Tsukineko, VersaFine | Permalink. Pretty card. I really like this sentiment. Big question. Who makes your bday card? Thanks, Terry! The offspring have made cards for me (using my crafting stash) over the years, but that has dwindled. Offspring2 gave me something handmade this morning. So sweet! LOVE your watercolor background! Thanks so much for joining us on the Runway!! !